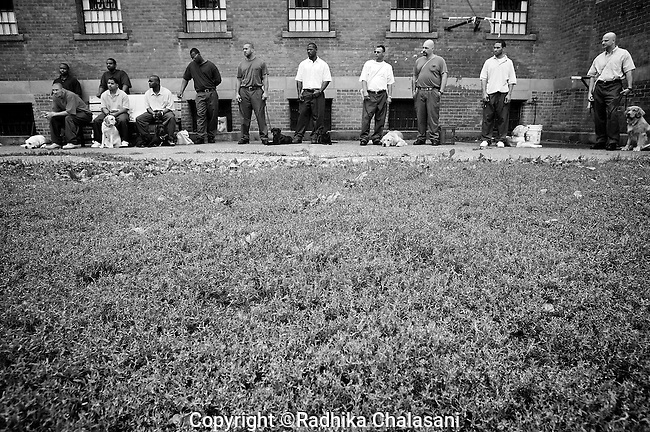 BEACON, NEW YORK: Prisoners listens to instructor Carl Rothe during class for the Puppies Behind Bars program at Fishkill Correctional Facility. The training program consists of one day of class a week on topics such as obedience training, grooming, basic care of the dogs. The rest of the week prisoners keep the dogs with them as they go about their daily routine in the prison and work on training individually.